JPMorgan's Losses 'May Reach $9 Billion' : The Two-Way "People who have been briefed on the situation," say the losses from bungled trading have more than tripled from the initial estimate, The New York Times reports. The bank isn't commenting for the record. JPMorgan Chase & Co. headquarters in New York. First it was $2 billion. Then "as high as $4 billion." 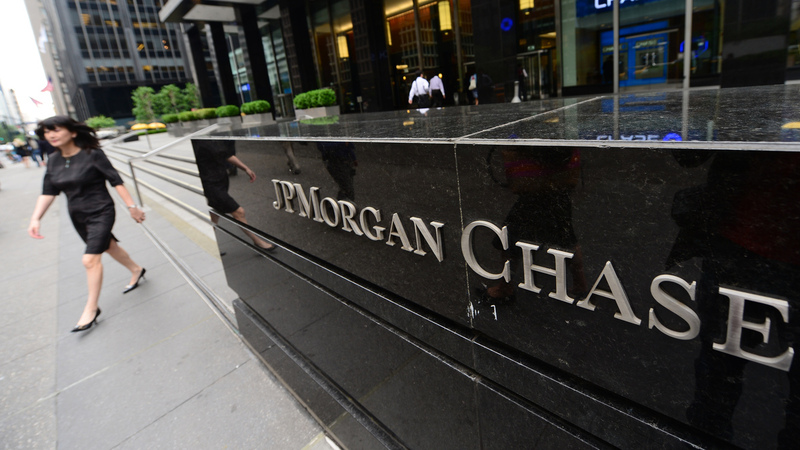 "Losses on JPMorgan Chase's bungled trade could total as much as $9 billion, far exceeding earlier public estimates, according to people who have been briefed on the situation." The total has grown, according to the Times, "as the bank has been unwinding its positions." It says the bank declined to comment. As we reported last week, while he declined to tell Congress just how much the losses will end up being, JPMorgan CEO Jamie Dimon had a quip ready when asked if they might approach $1 trillion. "Not unless this earth is hit by a moon," he said.